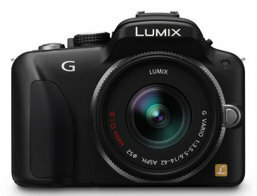 Here are the full Panasonic Lumic DMC G3 DxOMark results. It is worth noting that Micro Four Thirds sensors are smaller than APS-C or Full Frame sensors. Their smaller size means less light is captured; it will be quite challenging for sensor manufacturers of this format to achieve a score equal or superior to that of APS-C sensors. Low-Light ISO Score: 1/3 Stop Better, High ISO setting: more than 1 Stop better! The Lowlight ISO Score, which indicates the maximum ISO you can use while keeping a decent Image quality (See Low-Light ISO Score definition) is 1/3 Stop better. The dynamic range could be its most impressive improvement: close to 2 Stops between the 2 generations of sensors at ISO 6400. When it comes to photonic noise and color sensitivity the G3 has similar behaviors to the GH1 and GH2. Nevertheless on dark noise management, especially at Low ISO the GH-series cameras have the upper hand: Dynamic Range measurements for the GH1 and GH2 are 1 Stop better at low ISO. If the previous G2 was a bit behind the Olympus PEN EP2, the G3 changes the game score and ends up with a tie. The Panasonic G3 not only has exactly the same Overall Score when compared with the Olympus PEN EP2 but it also takes the lead on the Low-Light ISO score. The Panasonic G3 has a slight advantage on SNR 18% and tonal range measurements but this advantage is not on the color sensitivity measurement which could indicate that its spectral response is less selective. Last but not least, the Sony NEX sensor (which is an APS/C) remains higher ranked in every aspect. Panasonic Lumix DMC G3 vs Canon S90 vs Canon G12: Compact or Hybrid? If you are looking for a compact camera for traveling with a light bag, and you are considering a high-end bridge such as the Canon Powershot G12 or S90, you should take a look to this comparison. The micro 4/3 camera provides a significantly better image quality on every aspect and in every lighting condition.